Some pet owners in the Triangle put off getting regular physical exams for themselves, so it’s no surprise that they may have this same complacent attitude when it comes to how often they take their pets in for exams. However, the importance of bi-annual exams for your furry friend cannot be overstated. Consider the fact that one year in your human biological clock equals seven in “dog years.” That means if you’ve put off taking your dog or cat in for a “couple of years,” it’s really been more like “over a dozen.” A lot can happen in regards to a pet’s health during this time, and much of it goes unseen. Digestion: Your pet’s vet will likely ask about any irregular bowel movement consistency and habits. A stool sample may be taken at this time. Weight: Obesity is not just a problem for people. Animal obesity is becoming a problem as well. The veterinarian can monitor your pet’s weight and give diet advice. Sleep and energy: A pet that is sleeping more or less than usual may have an underlying health problem. Their energy levels also are a factor to watch. Vaccines: There are many vital inoculations that pets need to avoid common but deadly diseases, like rabies, distemper, and influenza. 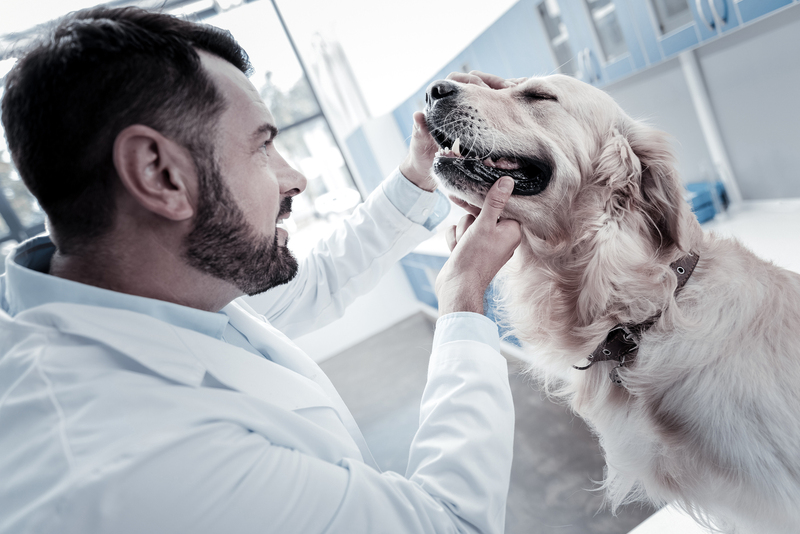 Visiting a vet regularly allows them to maintain a detailed record of your pet’s vaccinations and schedule for administering these to your pet. Vital signs: Just like when you go to a physical, a pet’s temperature, pulse, and respiration are taken to make sure the big picture indicators are normal. These levels are very different for your pet than for you, but they still should fall into a healthy range. Dental health: Do you brush regularly? 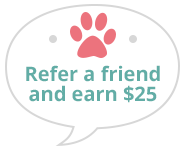 For both you and your pet? Oral health is linked to heart health, and tooth decay and gum disease do occur in pets. Much more: The concerns mentioned above are just the beginning. There are also parasites to worry about, arthritis, diabetes, joint health, and so on. A few weeks ago one of our patients — a dog named Scooby, was here for daycare and urinated during daycare inside. We noticed blood in his urine, so we did a urinalysis and it turns out he had some crystals in his urine. We then performed some radiographs, which showed bladder stones. It wasn’t long after that Scooby had surgery to remove the stones. Had those stones gone unchecked, it could have been a painful and dangerous situation for Scooby! Hopefully, you’re now motivated to make your pet’s health a priority. We don’t aim to make pet owners feel guilty, but only want them to realize the importance these bi-annual exams have on their pet’s overall well-being and longevity. We know you love your pet, and sometimes it just takes a little information to realize how best to care for them so that you get as many years as possible with your furever friend. Pet owners in Chapel Hill, Durham, Carrboro, Pittsboro, Hillsborough and the surrounding areas can rely on us to provide great care for their little-loved ones. Call us today at (919) 942-6330 to get your pet on a bi-annual wellness schedule with us.